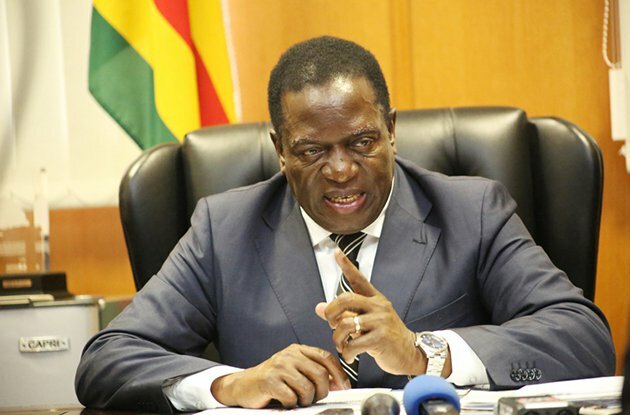 Parliamentary proceedings descended into yet another farce yesterday when Cabinet ministers refused to answer questions from MDC legislators to protest the opposition's continued refusal to acknowledge President Emmerson Mnangagwa as the legitimate leader of the country. It eventually took the intervention of the acting speaker of the National Assembly to end the anarchy and for the ministers to fulfil their parliamentary obligations - after they had disrupted the session for more than 20 minutes. MDC MPs, just like their leader Nelson Chamisa - have refused to recognise Mnangagwa as the winner of the hotly-disputed July 30 presidential election - despite the Constitutional Court upholding the Zanu-PF leader's victory. The Cabinet ministers, led by the leader of government business in the house, Ziyambi Ziyambi, flatly refused to respond to opposition legislators' questions until they recognised Mnangagwa. Ziyambi said the fact that ministers were appointed by the president meant that the MDC legislators could not ask them questions if they refused to recognise him. "We will not accept a situation where we continue to have hypocrites in this house who want us to answer their questions ... So, for that reason we are unable to answer their questions," he said. Ziyambi was responding to calls from MDC legislators led by Mutare Central MP, Innocent Gonese, to have ministers who miss the House's questions and answer session to be charged with contempt of Parliament. "This has been happening for a long time, but no action has been taken and we wonder what is stopping Parliament from doing what it should," Gonese complained. The MDC legislators also argued that while they did not recognise Mnangagwa, they had an obligation to play an oversight role on ministers as duly elected representatives. "I am happy that we can now proceed because the other side has agreed to do so in the name of progress, and that they now recognise the government of the day," Ziyambi said rather mockingly, after the acting speaker had intervened in the chaos. Last month, there was also pandemonium in Parliament after National Assembly Speaker Jacob Mudenda ejected MDC MPs from the House for refusing to stand up in honour of Mnangagwa. Mnangagwa had turned up for the national budget presentation by Finance minister Mthuli Ncube. While Zanu-PF MPs stood up in unison when Mnangagwa made his way into the legislative assembly, the MDC legislators remained seated - prompting Mudenda to call in the police to clear them out.